The Nifty snapped its four-day winning streak and closed Friday's sideways session on a weak note, forming an indecisive Doji pattern on the daily candlestick charts. On the weekly scale, the index formed a bullish candle. A Doji is formed when the index opens and then closes around the same level, but remains volatile throughout the day. This is indicated by its long shadow on either side, which appears like as a cross or a plus sign. The index after opening lower at 11,566.60 managed to clawback to hit a high of 11,604.60. It wiped out its gains in the first hour of trade itself to hit a low of 11,532. It remained rangebound for rest of Friday and closed 25.70 points lower at 11,557.10. For the week, the Nifty rallied 0.75 percent. "The Nifty registered a Doji kind of indecisive formation. Enough sell signals emerged on lower time frame charts after Friday’s price action, suggesting that the index may be on the verge of a short term trend reversal," Mazhar Mohammad, Chief Strategist – Technical Research & Trading Advisory, Chartviewindia.in, said. He sees selling getting accelerated if the Nifty breaches its 39-day old ascending channel. "Support for the index is placed around 11,532. A decisive break down below the said channel will see it falling to 11,350 levels." According to Mohammad, a close below 11,498 on Monday would confirm a short term downtrend. "The heightened selling pressure should eventually lead to a test of 11,340 levels. A close above 11,620 should see the index heading to 11,700 levels." He advises traders to book profits and remain on the sidelines till further signs of strength are seen in the market. India VIX fell 3.35 percent to 12.33 levels. Lower volatility suggests that bulls could support the market on a decline. The Nifty closed at 11,557.10 on Friday. According to pivot charts, key support is placed at 11,524.53, followed by 11,491.97. If the index starts moving upwards, the key resistance levels to watch out are 11,597.13 and 11,637.17. The Nifty Bank index closed at 27,834.70, down 193.20 points on Friday. The important pivot level, which will act as crucial support for the index, is placed at 27,704.06, followed by 27,573.43. On the upside, key resistance levels are placed at 28,044.06, followed by 28,253.43. Maximum call open interest (OI) of 39.24 lakh contracts was seen in 11,600 strike. This will act as crucial resistance level for the August series. This was followed by the 11,500 strike, which now holds 29.16 lakh contracts, and 11,700, which has accumulated 28.73 lakh contracts. Call writing was seen in 11,600 strike, which added 3.92 lakh contracts, followed by 11,900, which added 1.90 lakh contracts. 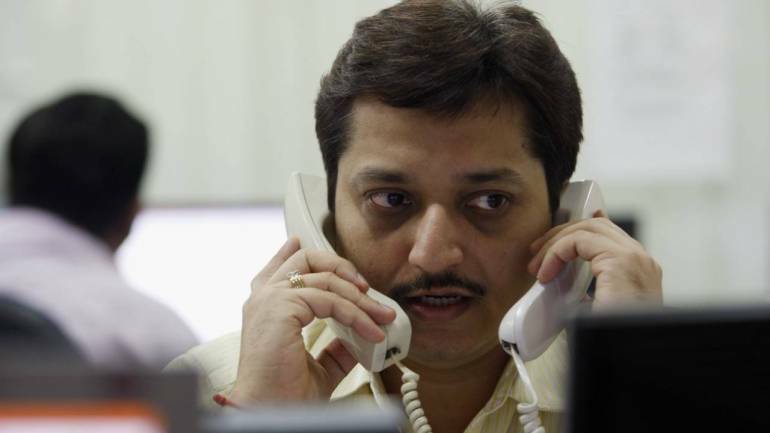 Highest call unwinding was seen at 11,400 strike, which shed 2.75 lakh contracts, followed by 11,300, which shed 1.63 lakh contracts, and 11,500 strike, which shed 1.02 lakh contracts. Maximum put open interest of 41.76 lakh contracts was seen at 11,000 strike, which will act as a crucial support for the August series. This was followed by 11,500 strike, which now holds 40.16 lakh contracts, and 11,400 strike , which has now accumulated 37.36 lakh contracts. Put writing was seen at 11,100 strike, which added 1.34 lakh contracts. Highest put unwinding was seen at 11,200 strike, which shed 6.23 lakh contracts, followed by 11,500 and 11,400 strikes, which shed 5.68 lakh and 4.62 lakh contracts, respectively. Foreign institutional investors (FIIs) sold shares worth Rs 75.78 crore while domestic institutional investors bought shares worth Rs 904.75 crore in the Indian equity market on Friday, as per provisional data available on the NSE. A decrease in OI along with an increase in price mostly indicates short covering. An increase in OI along with a decrease in price mostly indicates a build-up of short positions. Goa Carbon: AJO Emerging Markets Small-cap Master Fund bought 65,681 shares of the company at Rs 826.91 per share on the NSE. Hexaware Technologies: Promoter HT Global IT Solutions Holdings sold 2.5 crore equity shares of the company at Rs 447.83 per share while Citigroup Global Markets Mauritius bought 38,53,600 shares at Rs 447.5 per share and Societe Generale purchased 41,00,000 shares at Rs 447.5 per share on the NSE. Ruchi Soya Industries: Disha Foundation sold 95,60,000 shares of the company at Rs 9.44 per share on the NSE. Ramkrishna Forgings: Invesco Asset Management Company sold 1,94,261 shares of the company at Rs 615 per share on the BSE. Tata Motors: Company's officials are meeting Mirabilis Investment Trust on August 27; East Bridge Capital, HDFC Life Insurance, ICICI Prudential MF, lshana Capital, Mirae Asset Management India, Reliance Mutual Fund, SBI Mutual Fund, Sundaram Asset Management, Trikon Asset Management, Zaaba Capital, Axis MF, Baring Private Equity Partners, Canara Robeco, Dalton Investments, DSP Investment Managers, Hitesh Doshi, lnvesco Mutual Fund, Kotak Group, Lucky Investment Managers, One North Capital, Turiya Capital, Schroders, T Rowe Price, Fidelity International, Amansa Capital, Ashmore Investment Advisors, Birla Mutual Fund, Max Life Insurance, Oxbow Capital Management and White Oak Capital on August 29; and Motilal Oswal Asset Management Company on August 30. Tata Steel: Company's officials are attending Motilal Oswal 14th Annual Global Investor Conference, 2018 on August 27. Wipro: Company's officials are attending Motilal Oswal 14th Annual Global Investor Conference, 2018 on August 28. Aurobindo Pharma: Company is attending investor conference hosted by Motilal Oswal on August 27 in Mumbai. Titan Company: Company is meeting Invesco through conference call on August 29. Dabur India: Company will participate in Motilat Oswal 14th Annual Global Investor Conference, 2018 on August 28 and 29. KEC International: Company's officials are meeting Motilal Oswal Securities on August 28. Thyrocare Technologies: Anand Velumani and Aditya Shinde, Deputy General Manager, have been invited to participate in an investor conference organised by Motilal Oswal Securities on August 28 and 29, 2018. Reliance Power: 24th Annual General Meeting is scheduled to be held on September 18. Reliance Communications: 14th Annual General Meeting is scheduled to be held on September 18. Reliance Home Finance: Annual General Meeting is scheduled to be held on September 18. Reliance Infrastructure: Annual General Meeting is scheduled to be held on September 18. Reliance Capital: 32nd Annual General Meeting is scheduled to be held on September 18. Reliance Nippon Life Asset Management: 23rd Annual General Meeting is scheduled to be held on September 18. Prestige Estates Projects: 21st Annual General Meeting will be held on September 17. Container Corporation of India: 30th Annual General Meeting is scheduled to be held on September 20. BHEL: 54th Annual General Meeting to be held on September 19. Grasim Industries: 71st Annual General Meeting to be held on September 14. IL&FS Engineering and Construction Company: 29Th Annual General Meeting to be held on September 17. Crompton Greaves Consumer Electricals: Company's officials are meeting analysts, institutional investors and MF houses on August 27, 28, 30 and 31. Indian Energy Exchange: Company's officials are meeting Alchemy Capital on August 27, Sloane Robinson on August 29, Janus Capital on August 30, APG Asset Management on August 31 and Kotak Institutional Equities on August 31 in New Delhi. General Insurance Corporation of India: The meeting of the board of directors of the company is scheduled on September 5 to consider and approve general matters of the corporation. Shankara Building Products: Company will be meeting investors in the conference held by Motilal Oswal Securities on August 28. Nitin Fire Protection: The meeting of the board of directors of the company will be held on August 28 to consider standalone un-audited financial results for the quarter ended June 2018. Nahar Spinning Mills: 38th Annual General Meeting scheduled to be held on September 28. India Tourism Development Corporation: 53rd Annual General Meeting will be held on September 28. Kaveri Seed Company: 31st Annual General Meeting of the company has been scheduled to be held on September 21. Gokaldas Exports: 15th Annual General Meeting of the company will be held on September 18. Easun Reyrolle: The meeting of the board of directors of the company is scheduled on August 27 to consider financial results. Tamil Nadu Newsprint & Papers: Company's officials are meeting Sanjay Agarwal Securities on August 29 in Chennai. BLS International Services: 34th Annual General Meeting of the company to be held on September 19. Arfin India: 26th Annual General Meeting of the company will be held on September 24. Satkar Finlease: 23rd Annual General Meeting scheduled to be held on September 17. National Steel: The meeting of the board of directors of the company is scheduled on August 30 to consider and approve June quarter earnings. RDB Rasayans: 23rd Annual General Meeting of the members will be held on September 18. Indo Credit Capital: 25th annual general meeting of the company is scheduled to be held on September 21. Solar Industries India: Company's authorised representatives Manish Nuwal, Managing Director & CEO and Nilesh Panpaliya, Chief Financial Officer will be participating in 14th Annual Global Investor Conference conducted by Motilal Oswal Securities to be held August 27 and August 28. Reliance Industries: Subsidiary Reliance Brands purchased an additional 3.07 percent equity holding in Genesis Colors (GCL) for about Rs 8.32 crore, taking its total stake in GCL to 49.46 percent. Fortis Healthcare: Company & RHT Health Trust have agreed to amend the long stop date in the master purchase agreement. LIC Housing Finance: Q1 profit rises 18.4 percent to Rs 567.9 crore versus Rs 479.7 crore; revenue increases 10.8 percent to Rs 4,019 crore versus Rs 3,626.9 crore (YoY). Sundaram Finance: Q1 profit rises to Rs 140.72 crore versus Rs 111.75 crore; revenue from operations increased to Rs 753.2 crore versus Rs 614.7 crore; provisions and write off declined to Rs 18.7 crore versus Rs 21.4 crore (YoY). JBF Industries: Promoter sells 4.1 percent stake in open market from August 3-14. Indian Overseas Bank: International Credit Rating Agency Moody's Investors Service, Singapore has re-affirmed its ratings and has also assigned a new rating i.e. Counterparty Risk Rating (CRR) for the bank. CRR for banks is a new rating class introduced by Moody's. Royal Orchid Hotels: Rating agency ICRA upgraded its rating for company's subsidiary Icon Hospitality Private Limited's term loan of Rs 20 crore to BBB(SO) (Stable) from BBB- (SO)(Stable). Schaeffler India: Name of the promoter entity of the company i.e. 'FAG Kugelfischer GmbH' has been changed to 'Schaeffler Schweinfurt Beteiligungs GmbH' w.e.f. August 1. NHC Foods: Board members approved sale of undertaking(S) of the company situated at Valsad, Gujarat and Santacruz, Mumbai. Suncare Traders: The meeting of board of directors of the company is scheduled to be held on August 30 to consider to issue of bonus equity shares. For August 27, Hexaware Technologies, Jet Airways, Jain Irrigation Systems and Raymond are present in this list.